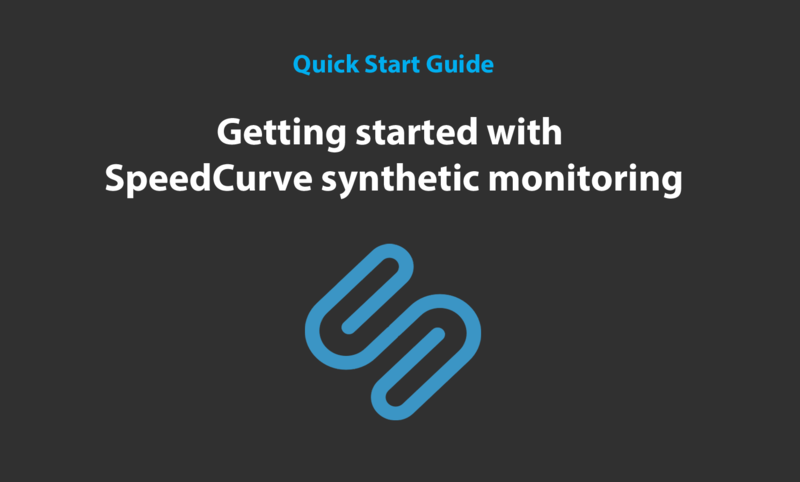 We created this step-by-step guide to help you set up your SpeedCurve Synthetic monitoring, and to help you onboard your team members who are new to SpeedCurve. As always, we welcome your feedback. If you have any questions that aren't answered here, send us a note at support@speedcurve.com. If you haven't signed up for SpeedCurve yet, you'll need to do that first. The signup process is pretty simple, and there's no credit card required for your 30-day free trial. In this short (5:40) video Mark walks you through the steps to add more URLs, regions, and browsers, as well as create custom settings to emulate different connection types and speeds. How do I test my private development and staging sites? How do I run a test RIGHT NOW? No matter what type of plan you have, it's in your best interest to manage your monthly checks to get the best value out of SpeedCurve. What is a check and how many do I need? The ability to create multiple users and multiple teams is a feature of our Synthetic Enterprise plan. If you're already an Enterprise user, this video shows you how to add users/teams. If you're not an Enterprise user and want to learn more, contact us at support@speedcurve.com. Knowing which of your competitors are faster than you is a fantastic way to get performance buy-in throughout your organization. 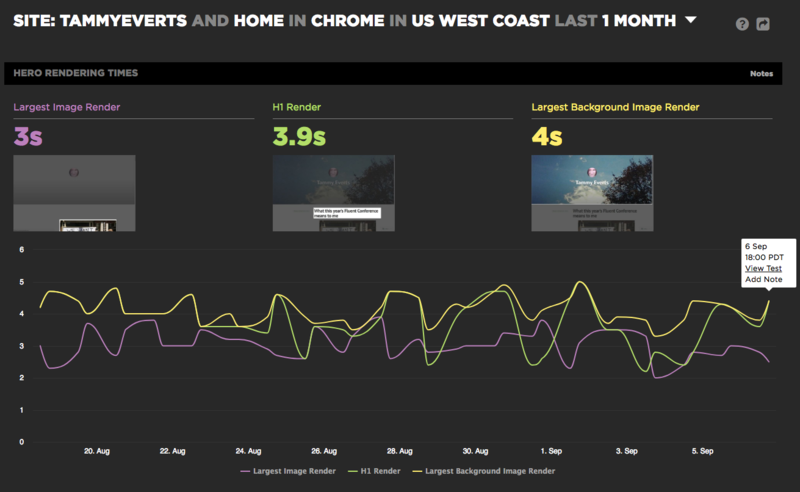 Here's how to use SpeedCurve to compare your performance with any other site. Why are SpeedCurve metrics different from what I see on my local computer? Performance budgets are a vital tool in your web performance toolbox. They take the hassle out of monitoring your page performance by notifying you (by email, Slack, or HipChat) whenever your metrics cross a certain threshold. The great news: creating performance budgets is quick and easy. Here's how to get started. When do performance budget alerts get sent? WebPageTest scripting (which is available with our Enterprise plans) lets you expand your SpeedCurve testing by allowing you to do things like add repeat views and test private dev and staging sites. 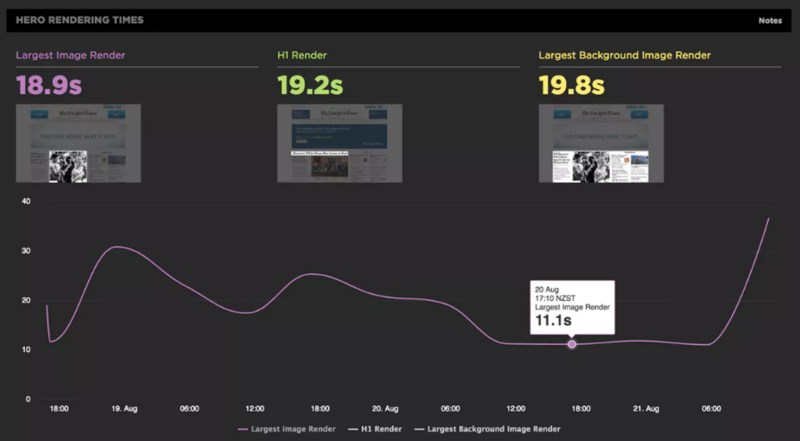 It’s great to have standard metrics – such as onload time and start render – that work across all web pages. But these metrics don’t tell you about important things you care about, such as how quickly your ads and third parties are rendering, or how fast your site appears to users. 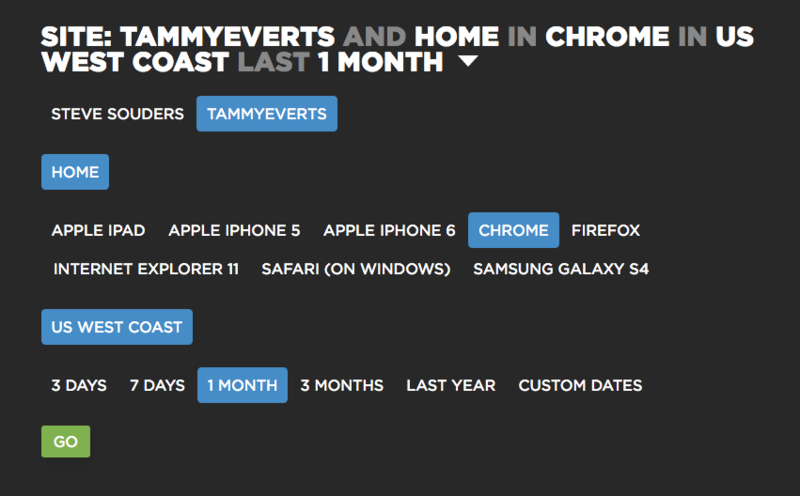 These are a set of metrics we created to mitigate the fact that only about 15% of websites use custom timers. They're an out-of-the-box way to learn how page elements that probably correlate to user experience – largest image, largest background image, and H1 – render in the browser. They're available on your Sites dashboard. Just hit the green 'Go' button when you're done, and you'll see your updated charts. Your Favorites dashboards make it super easy for you to cherry pick the metrics and data that are most meaningful to your business – and then share that data with your team. Group charts into different dashboards for different users. For example: You can add an "Exec Summary" dashboard that includes high-level charts for those monthly management meetings. Or you can create separate project-related dashboards to help your dev team focus on priorities. Being able to monitor and measure the performance of your pages is crucial. The next step is to quickly find out what’s hurting your pages so you can stop the pain. Every time you run a synthetic test, your Lighthouse scores appear at the top of your test results page by default. Lighthouse is an open-source automated tool for auditing the quality of web pages. 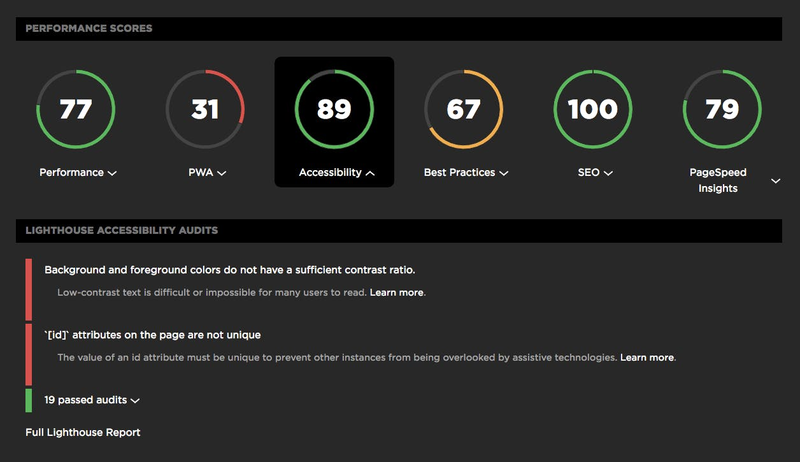 You can perform Lighthouse tests on any web page, and get a series of scores for performance, accessibility, SEO, and more. 1. Go to your Site dashboard. 2. Select the page you're interested in from the menu at the top of the page. 6. If you want to see your full Lighthouse report, click on the text link at the bottom of the list of audits. We're always working to make your SpeedCurve learning curve as short and sweet as possible. If you have any questions or feedback, please let us know! Send your comments to support@speedcurve.com.